Corkable, cappable, awesome. 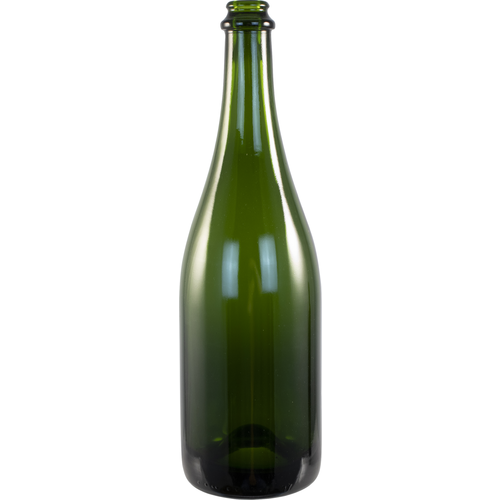 These are 750 ml punted Champagne bottles in Champagne green (a dark olive green color) that will carry your best sparkling wines. A 26 mm Crown Cap will seal the bottle for ease, or you can use a standard cork or champagne stopper and wire combo. Top these off with our heat shrink sleeves to give your sparkling wine the perfect presentation. Sold in cases of 12. I have some sparkling mead to bottle.